After breakfast at Friedman's Lunch, my mom and I explored around Chelsea Market and the meatpacking district. After several hours, we worked up an appetite, but the heat of midday dissuaded us from wanting anything too heavy. Fitting the bill perfectly is smoothie and juice bar Liquiteria. A East Village born smoothie shop with locations around NYC, Liquiteria is a good option for plant-based, good-for-you treats and eats. 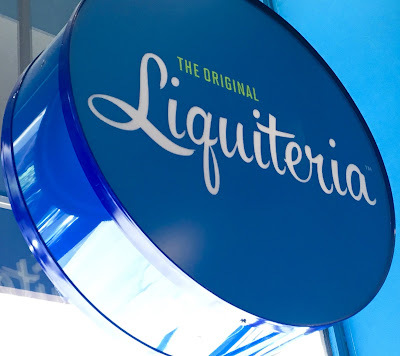 In addition to an assortment of drinks, Liquiteria offers gluten-free baked goods, salads and snack products such as protein bars, pretzels, and chips. 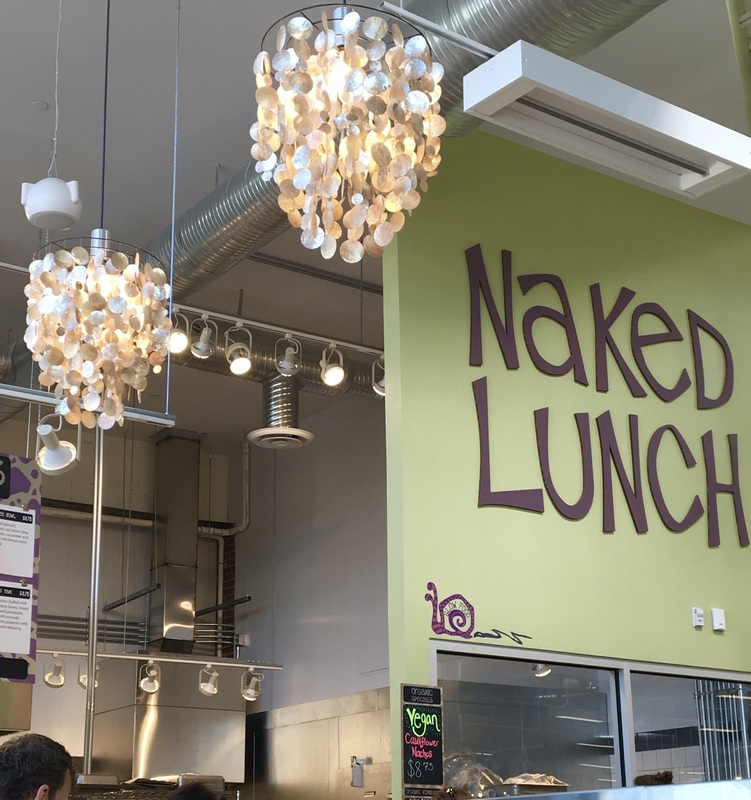 It's a perfect pit stop for any gluten-free eater or anyone with dietary restrictions. The last time I was in New York City my family stopped for lunch at Friedman's Harold Square, which totally impressed all of us for their tasty fare and prime location near Penn Station. On my final day in the city, I visited another of their locations- this one at historic Chelsea Market near the meatpacking district. Having enjoyed several lunches and dinners during my visit, my mom and wanted a low-key lazy morning complete with breakfast, and Friedman's Lunch fit the bill. 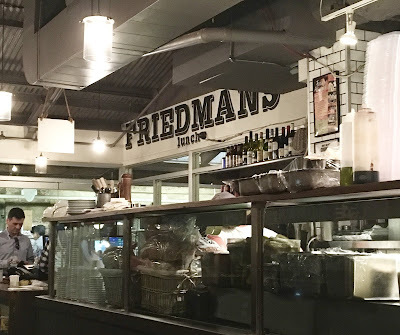 Friedman's Lunch at Chelsea Market is a cozy, bustling restaurant with a full menu of comfort food that's almost entirely gluten-free. Favorites such as burgers, chicken and waffles, and grilled sandwiches are all safe, and the protocol in place shows that Friedman's does due diligence to ensure gluten-free items stay that way from start to finish. Remember what I said in my last review that New York City is chock full of healthy restaurants, cafes, and eateries? Well the city is also home to every ethnic cuisine known to man. Inday, an eatery located in the Flatiron district, is a good blending of the two concepts, because it is an Indian restaurant specializing in food that is as good for you as it is delicious. 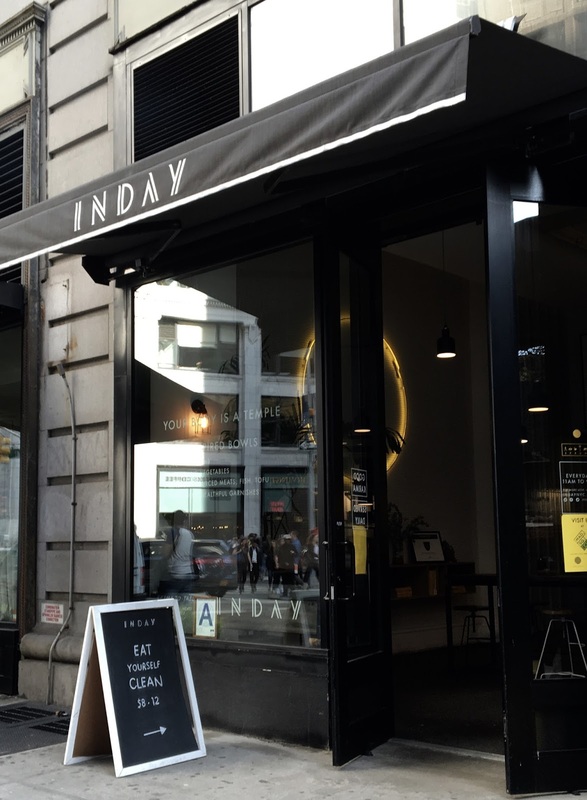 With a focus on plant-based, mindful eating, Inday offers a 100% gluten-free menu that is predominately dairy-free as well. With that peace of mind in place, diners can dive in to the Chipotle-style cuisine, designing custom bowls bursting with flavor. I visited Inday for a pre-show dinner, since it was a few short blocks from my hotel. Located in a busy, but not oppressively touristy part of time, it was a perfect stop that allowed for hailing a cab to Lincoln Center for an evening performance by American Ballet Theater. The restaurant was a allowed my mom and I to grab food and get a quick reprieve from the business of the city. Oh, and gluten-free, vegan waffles-for-dinner? That's totally a thing here. If it's anything, New York is laden with tons of restaurants and cafes with health halos. Organic, paleo, farm-to-table, gluten-free, vegan. You name it, New York City has it. With so many options, I had difficulty narrowing down which restaurants I wanted to visit over the course of the roughly two days I'd actually be in the city. 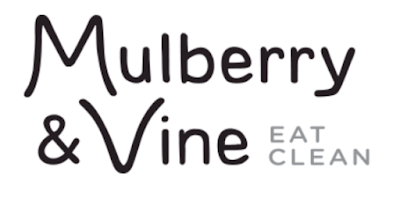 Catching my eye and winning out over others was Mulberry & Vine, a health conscious eatery that had several intriguing meat and meat free options. With a location in Tribeca close to the 9/11 memorial, it was a perfect post-memorial stop to refresh and reflect. I've been to New York City two other times before this visit, but had so far failed to eat pizza in this city known for it's distinctive style. On this third visit, I decided to make it a mission to seek out gluten and dairy-free pizza, and all roads pointed to Don Antonio by Starita in the theater district, a block or two from Times Square. 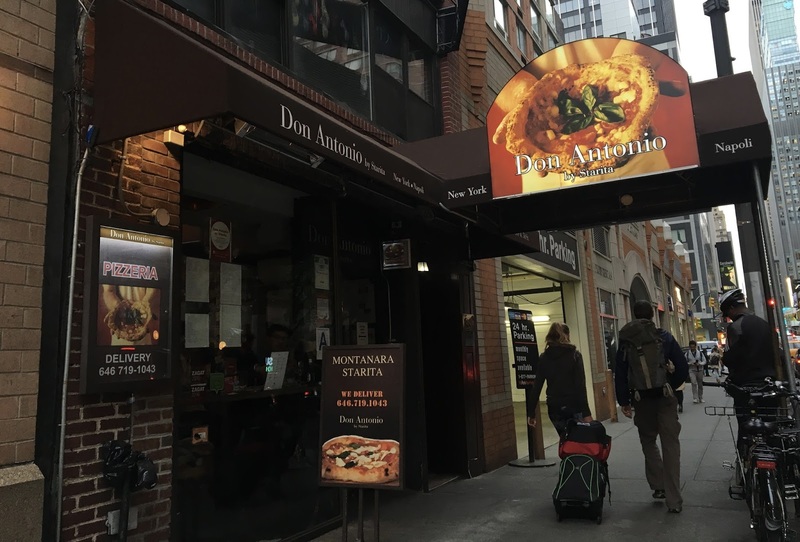 Don Antonio is a joint venture between two world-renowned pizza chefs, one in New York and one in Naples. With a goal of crafting Neapolitan pizzas that are indulgent and authentic, the quest for quality cuisine starts from the ingredients up, as mozzarella, prosciutto, and other ingredients are curated from Italy itself. My first day in in New York City promised to start with a bang because the time had finally come for my mom and I to see Hamilton, a show we've anticipated for months since buying tickets last year. After dropping our bags at our hotel, we headed to the theater for the impromptu ticket lottery pre-show (dubbed Ham4Ham). Having a little over an hour between Ham4Ham and the matinee, we raced a few blocks up to Toloache, a Mexican restaurant that came to me with rave reviews. Always game for tacos, I was eager to see how Toloache's would fare after a string of excellent finds in DC and Baltimore in recent months. Unfortunately, we hit Toloache during peak lunch rush hour which meant that seats were limited and the wait time would be cutting it too close to get back to the theater in time for the show. Not wanting to pass up the food portion of the experience, I suggested take out, which would allow us to save time and take a portable feast right to the theater, a few blocks away. Although I wish I could have enjoyed a full Toloache experience, this was the next best thing. May is a month chock-full with awareness initiatives, including celiac disease awareness month and food allergy awareness week. To help gluten-free folks and other dietarily restricted eaters a way to celebrate deliciously without fear, subscription box company Love with Food partnered with allergen-free food giant Enjoy Life Foods to curate a top eight allergen free box to send to subscribers to celebrate the month of May. I am not a subscriber to Love with Food (namely because some items do contain dairy in their gluten-free boxes), but through my affiliation with Enjoy Life Foods as a blogger, was sent a box to check out, to learn more about both companies. With finals just around the corner, I was definitely game to give the box a try. Update: Sweet Note Bakery has changed their name to The Greater Knead. Although they have a new name, they still sell the same top-quality bagels. If you've hung around my social media channels (Facebook, Twitter, Instagram), you've probably picked up that I'm quite a mega fan of Sweet Note Bakery, which offers gluten-free and top eight allergen free bagels. I first discovered this company in Philly back in 2014, and have been amazed to watch them grow into a company whose bagels are offered nationwide. Recently, they released a whole bunch of new online exclusive flavors, so naturally I had to give them a taste test. My last review of their bagels was over a year ago, so I figured it was high time to do another bagel round up. Subscription boxes are a hot new trend in the gluten-free world, with a variety of box services popping up on my radar in recent years. However, I have never signed up for one, because typically they focus on one allergy, which means that dairy would limit the amount of products I could enjoy. Vegan subscription boxes exist too, but there gluten can be an issue. 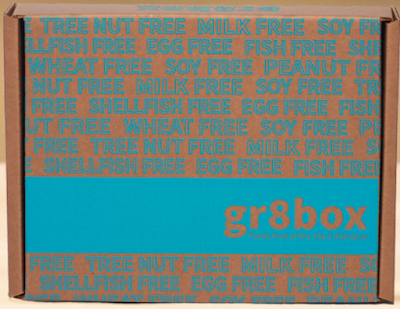 Luckily Gr8box, a new food allergy focused company has decided to solve the multiple allergen dilemma by crafting a box free of the top eight allergens: gluten, dairy, egg, fish, shellfish, tree nuts, soy, and peanuts. That's right. All products would have to be free from all eight of those allergens. Not only that, but all products have to be manufactured on top eight free lines in top eight free facilities. How cool is that? 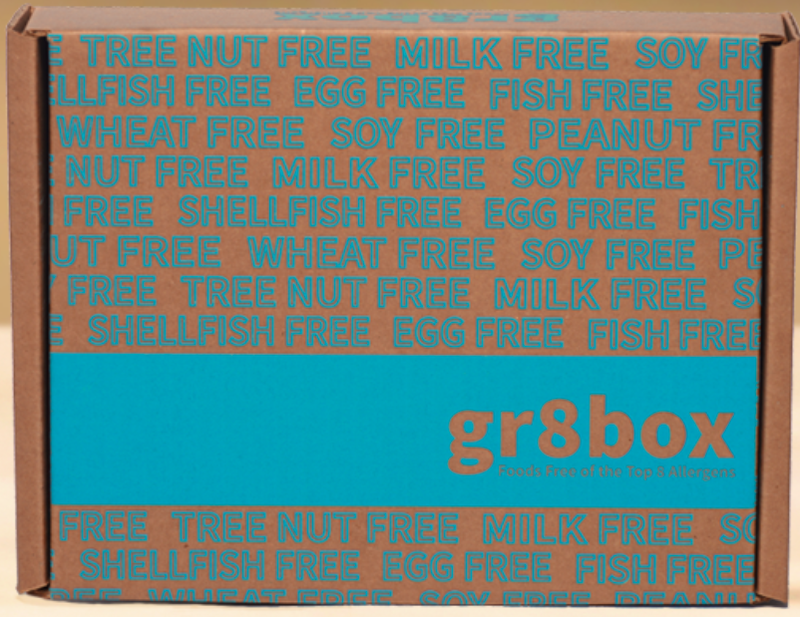 You get a custom box of eight new treats try every month and get to support allergen free companies too! I already count myself as a super fan of Simple Mills. Their line of paleo-friendly, gluten-free, grain-free baking mixes make clean eating effortlessly delicious. 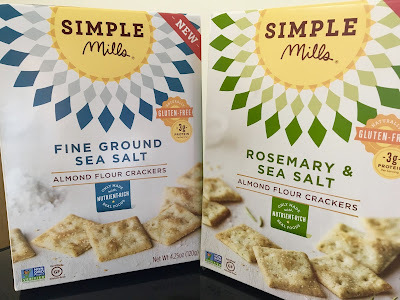 Recently, they expanded their product line to include almond flour crackers, which totally had me biting at the bit to give them a try. 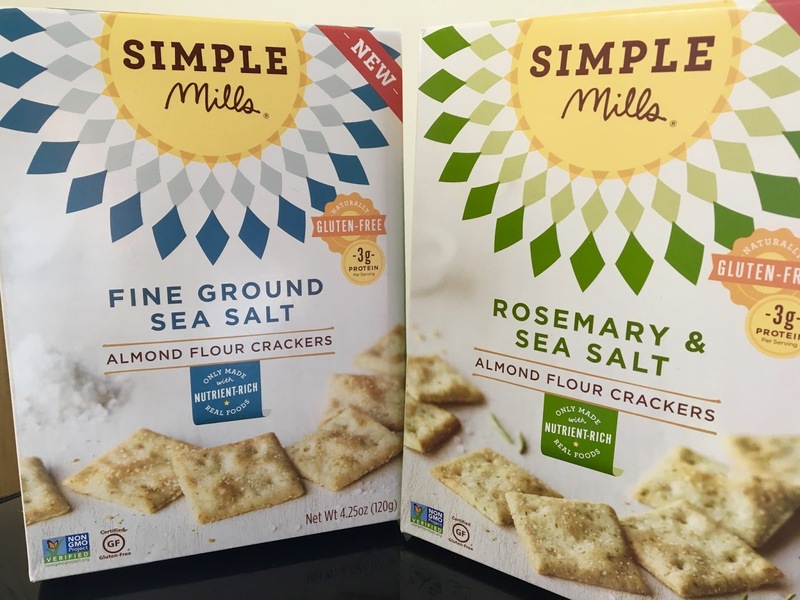 What's really cool about these new crackers is that they were crafted with care to be both delicious and good-for-you, as the company's baking mixes are. With minimal ingredients, and quality baked into every bite, these are not your ordinary pantry crackers, and are definitely an upgrade to any snack break. When it comes to gluten-free friendly grocery stores in Baltimore, there's quite a few to choose from, which makes shopping a treasure hunt of sorts. One of my favorite places to shop though is Mom's Organic Market, an independent chain of stores whose focus on food includes a lengthly list of ingredients they have banned from their shelves (see those here) and a commitment to stocking locally produced items and a 100% dedicated produce department. Typically I shop at the Lutherville location north of Baltimore, but is definitely not their best location in the area. While it has an pretty darn good selection, it's a bit on the smaller size. 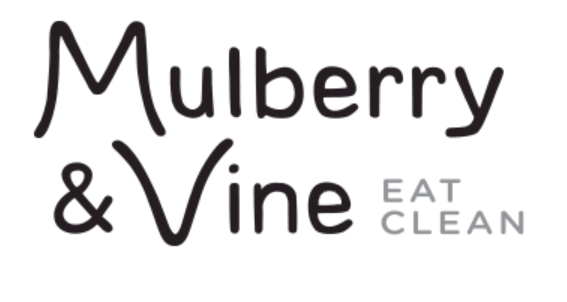 When Mom's announced that their newest Baltimore area location would be coming to the recently renovated Rotunda shopping center in Hamden, it was practically Christmas morning in my world, and I eagerly anticipated it's grand opening. 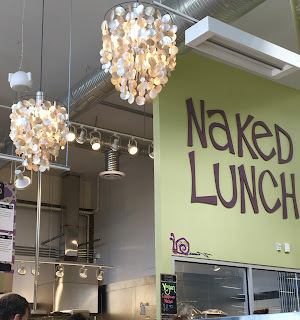 This past April, the magical day finally arrived, and I got to check out the new store- including Naked Lunch, an organic cafe offering in-store eats. Naturally, I had to check them out to see if they were just as amazing as the new grocery store.